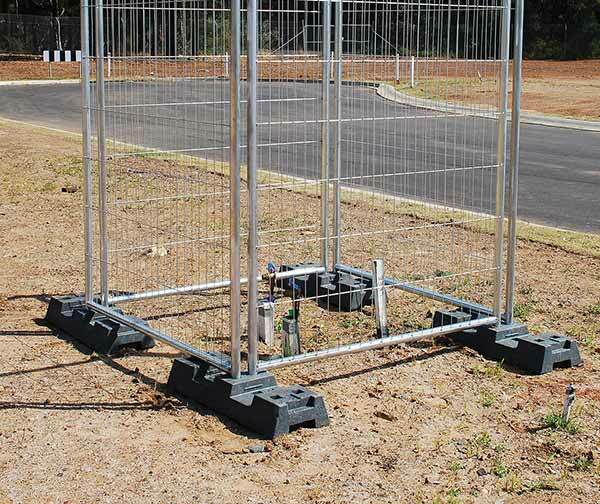 Our footpath panel combines the durability and lightness of our popular temporary fences with a compact design that makes it a great option for use on footpaths, areas that see human traffic and areas where space is limited. Unobtrusive, pleasing to the eye and extremely safe and sturdy, our footpath panels enable users to close certain areas without causing dangerous or inconvenience. Footpaths and similar areas might not be as harsh as construction sites but still require protection from the weather, human interference and neighbouring sites. In addition, stability is of the utmost importance in order to maintain the safety of pedestrians and offer protection against human interference. Our footpath panels, while lightweight and easy to install, are designed to display the same durability and stability as the other panels in our temp fence series. Installation can be completed in a matter of minutes, which is ideal in areas that see a lot of human traffic and cannot be closed off for extended stretches of time.